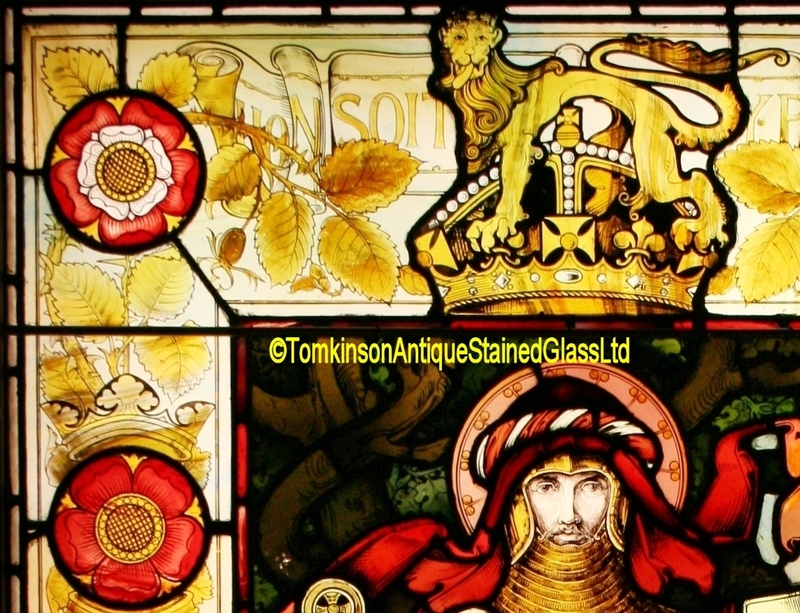 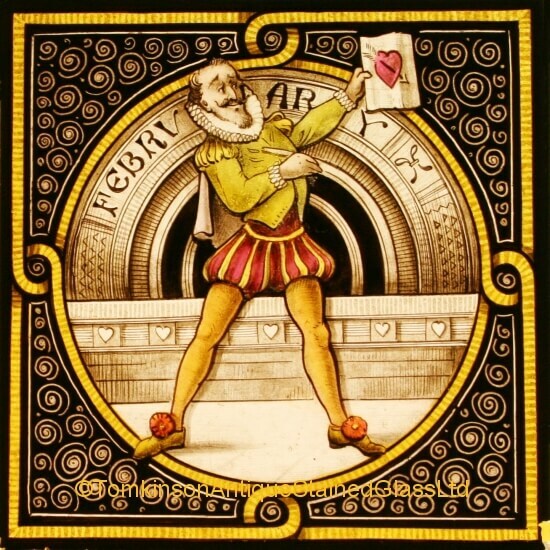 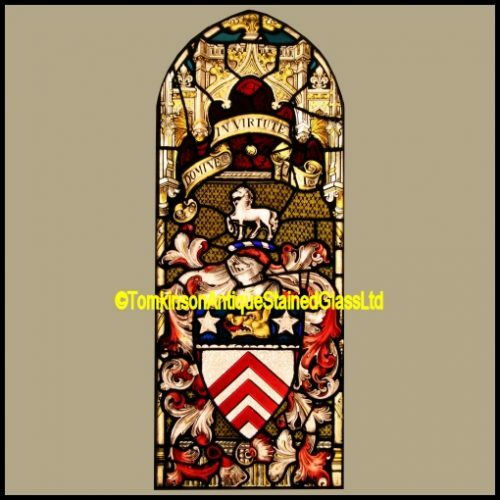 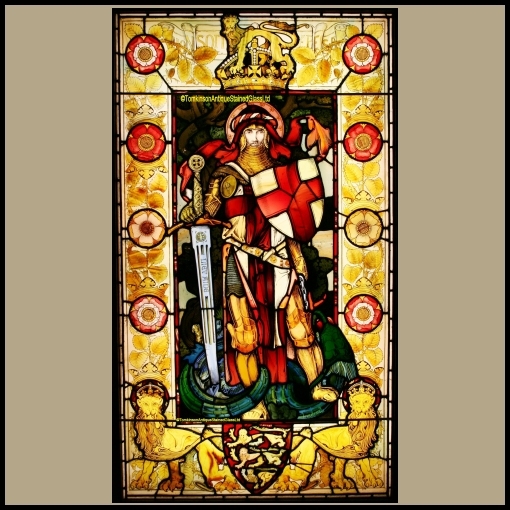 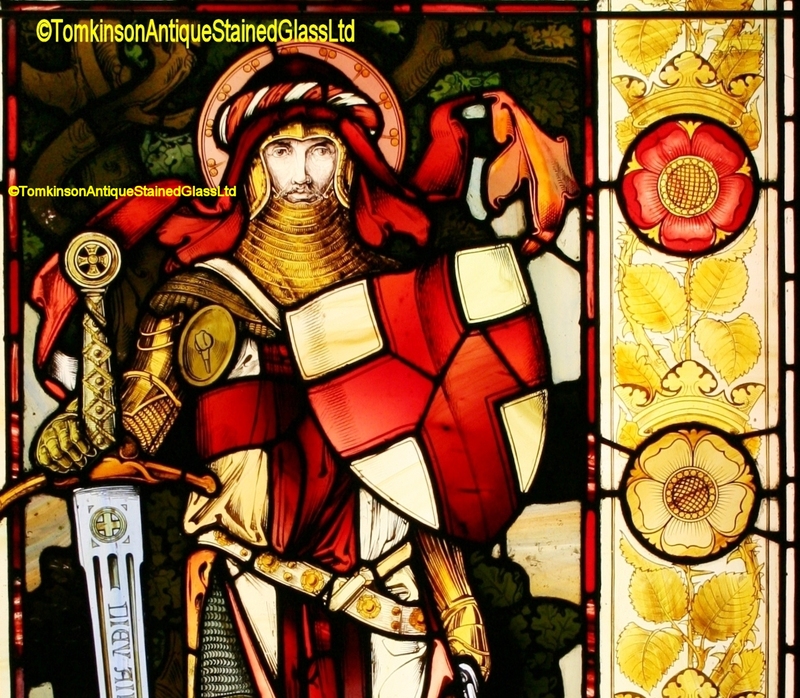 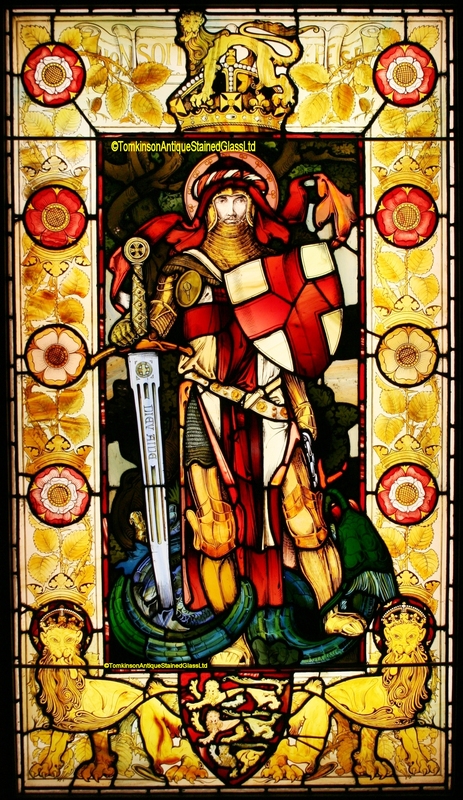 Large antique Victorian stained glass window, leaded with hand painted coloured glass depicting a central figure of George with the Dragon at his feet, he is also holding a sword and a shield. 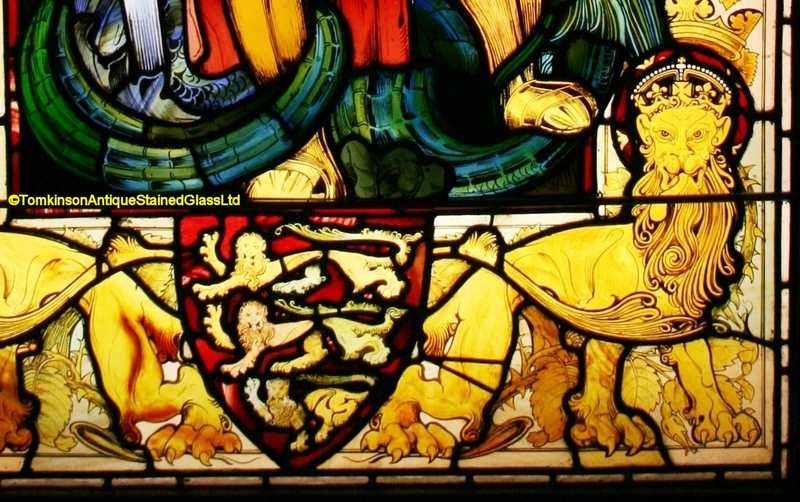 The upper border consists of a Lion standing on a Crown, side borders have large Tudor Roses and the lower border has a armorial shield depicting the 3 golden Lions of England with crowned Lions either side. 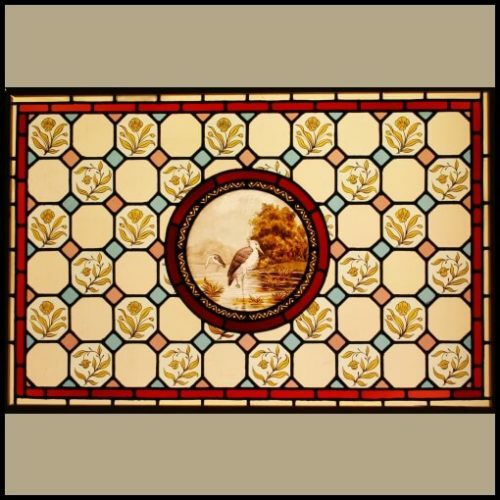 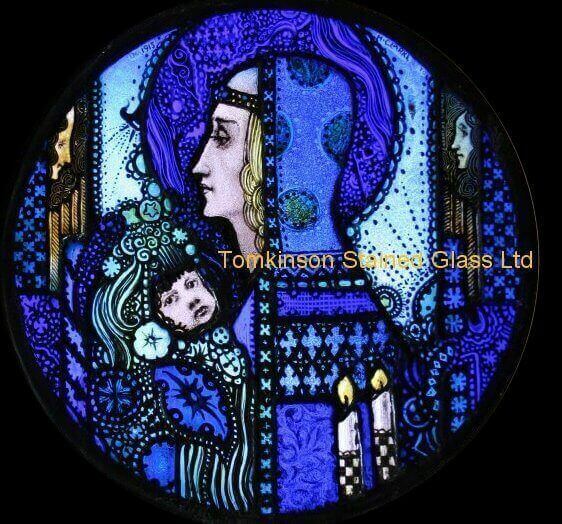 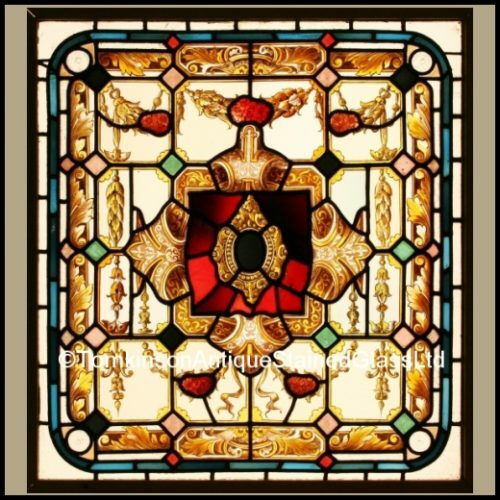 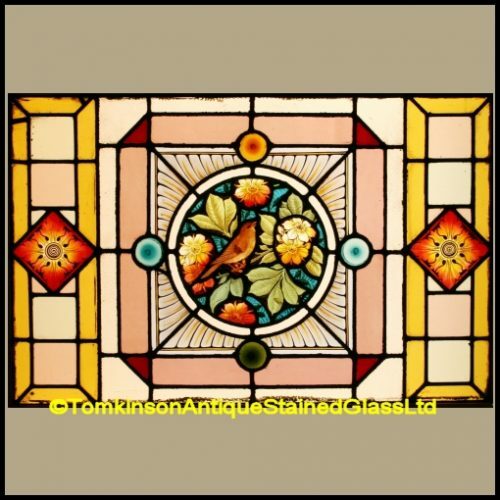 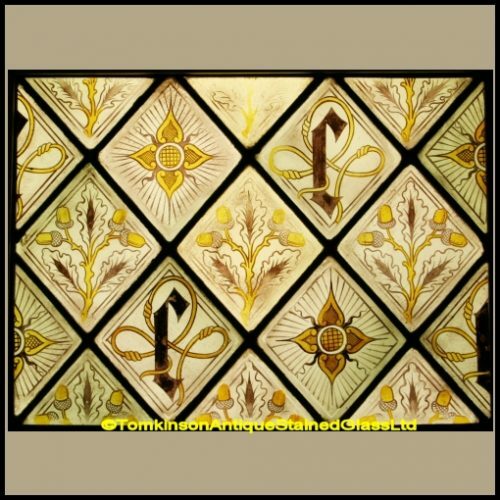 Very decorative window, super quality and in excellent original condition.